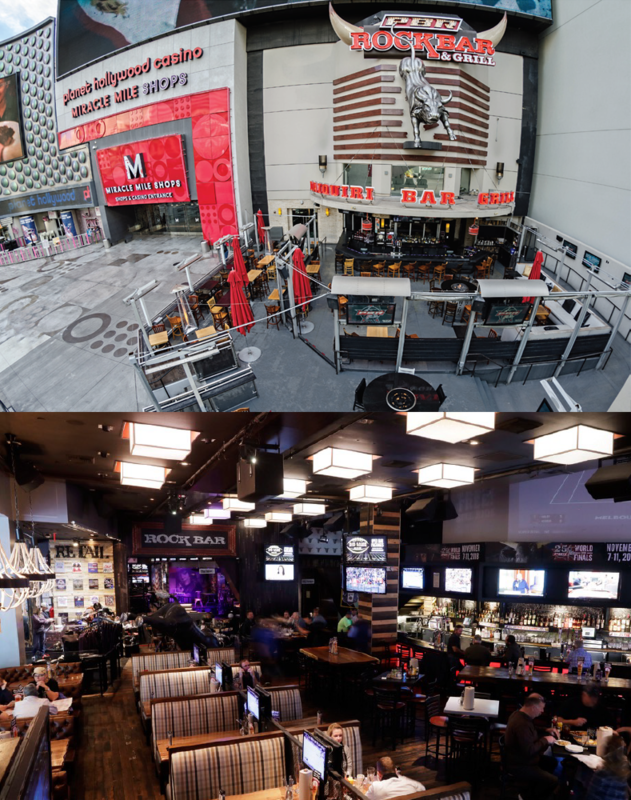 PBR Rock Bar & Grill is a Professional Bull Riders affiliated mega-venue featuring a mechanical bull, an expansive Strip-side patio, two DJ booths, four full-service bars, a specialty frozen drink bar and a gorgeous wait staff to entertain locals and tourists alike. The restaurant at PBR offers big plates and bold flavors that truly capture the taste of the U.S.A. The menu includes a wide selection of hearty, home-style favorites including Chicken & Waffles, Smoked Brisket and BBQ Pork Ribs, along with a few secret recipes, such as the restaurant’s famed Dorito Mac & Cheese.